Contact Mercedes-Benz of Ontario today for information on dozens of vehicles like this 2019 Mercedes-Benz CLA CLA 250. This Mercedes-Benz includes: SMARTPHONE INTEGRATIONSmart Device Integration BLIND SPOT ASSISTBlind Spot Monitor WHEELS: 17 5-SPOKEAluminum Wheels SAIL PATTERN TRIMBLACK HEADLINERKEYLESS GOKeyless Start Power Door Locks Keyless Entry *Note - For third party subscriptions or services, please contact the dealer for more information. 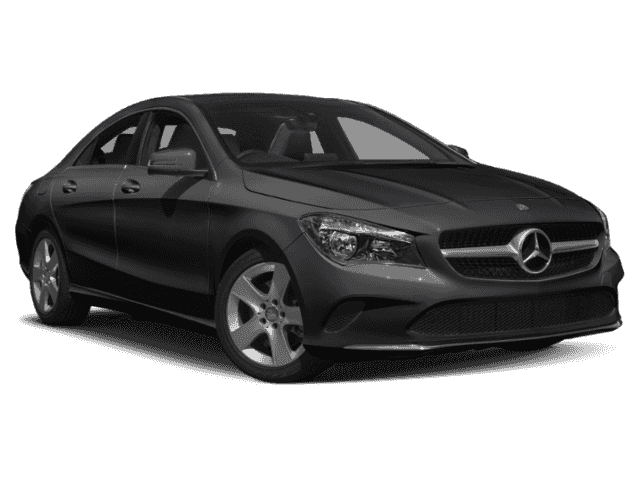 * There is no reason why you shouldn't buy this Mercedes-Benz CLA CLA 250. It is incomparable for the price and quality. The 2019 Mercedes-Benz exterior is finished in a breathtaking Polar White, while being complemented by such a gorgeous BLACK MB-TEX interior. This color combination is stunning and absolutely beautiful!You can finally stop searching... You've found the one you've been looking for. Contact Mercedes-Benz of Ontario today for information on dozens of vehicles like this 2019 Mercedes-Benz CLA CLA 250. This Mercedes-Benz includes: SMARTPHONE INTEGRATIONSmart Device Integration BLIND SPOT ASSISTBlind Spot Monitor WHEELS: 17 5-SPOKEAluminum Wheels SAIL PATTERN TRIMBLACK HEADLINERKEYLESS GOKeyless Start Power Door Locks Keyless Entry *Note - For third party subscriptions or services, please contact the dealer for more information. * Based on the superb condition of this vehicle, along with the options and color, this Mercedes-Benz CLA CLA 250 is sure to sell fast. The 2019 Mercedes-Benz exterior is finished in a breathtaking Jupiter Red, while being complemented by such a gorgeous BLACK MB-TEX interior. This color combination is stunning and absolutely beautiful!The Mercedes-Benz CLA CLA 250 will provide you with everything you have always wanted in a car -- Quality, Reliability, and Character. This 2019 Mercedes-Benz CLA CLA 250 is offered to you for sale by Mercedes-Benz of Ontario. This Mercedes-Benz includes: SMARTPHONE INTEGRATIONSmart Device Integration REAR SPOILER (PIO)Rear Spoiler SAIL PATTERN TRIMBLACK HEADLINERWHEELS: 18 5-SPOKE MULTI-SPOKETires - Front Performance Aluminum Wheels Tires - Rear Performance KEYLESS GOKeyless Start Power Door Locks Keyless Entry *Note - For third party subscriptions or services, please contact the dealer for more information. * The look is unmistakably Mercedes-Benz, the smooth contours and cutting-edge technology of this Mercedes-Benz CLA CLA 250 will definitely turn heads. 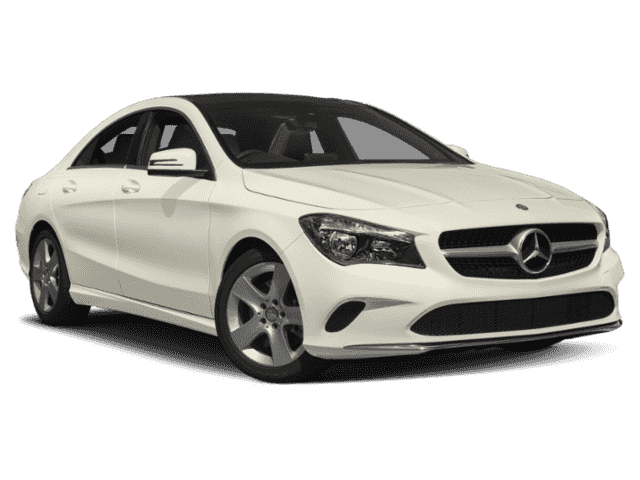 You can finally stop searching... You've found the one you've been looking for.There is no reason why you shouldn't buy this Mercedes-Benz CLA CLA 250. It is incomparable for the price and quality. This 2019 Mercedes-Benz CLA CLA 250 is proudly offered by Mercedes-Benz of Ontario This Mercedes-Benz includes: SMARTPHONE INTEGRATIONSmart Device Integration WHEELS: 17 5-SPOKEAluminum Wheels REAR SPOILER (PIO)Rear Spoiler SAIL PATTERN TRIMBLACK HEADLINERKEYLESS GOKeyless Start Power Door Locks Keyless Entry *Note - For third party subscriptions or services, please contact the dealer for more information. * You could keep looking, but why? You've found the perfect vehicle right here. The look is unmistakably Mercedes-Benz, the smooth contours and cutting-edge technology of this Mercedes-Benz CLA CLA 250 will definitely turn heads.This is about the time when you're saying it is too good to be true, and let us be the one's to tell you, it is absolutely true. Contact Mercedes-Benz of Ontario today for information on dozens of vehicles like this 2019 Mercedes-Benz CLA CLA 250. This Mercedes-Benz includes: SMARTPHONE INTEGRATIONSmart Device Integration BLIND SPOT ASSISTBlind Spot Monitor WHEELS: 17 5-SPOKEAluminum Wheels WHEEL LOCKS (PIO)Wheel Locks REAR SPOILER (PIO)Rear Spoiler KEYLESS GOKeyless Start Power Door Locks Keyless Entry *Note - For third party subscriptions or services, please contact the dealer for more information. * This vehicle won't last long, take it home today. You've found the one you've been looking for. 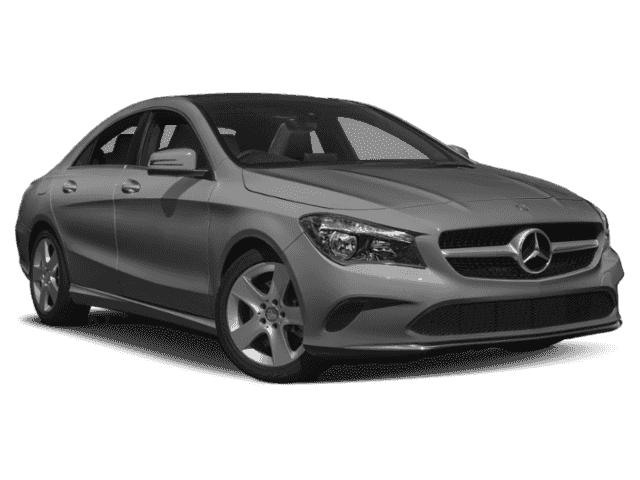 Your dream car.There is no reason why you shouldn't buy this Mercedes-Benz CLA CLA 250. It is incomparable for the price and quality. This 2019 Mercedes-Benz CLA CLA 250 is offered to you for sale by Mercedes-Benz of Ontario. This Mercedes-Benz includes: SMARTPHONE INTEGRATIONSmart Device Integration BLIND SPOT ASSISTBlind Spot Monitor SAIL PATTERN TRIMBLACK HEADLINERWHEELS: 18 5-SPOKE MULTI-SPOKETires - Front Performance Aluminum Wheels Tires - Rear Performance KEYLESS GOKeyless Start Power Door Locks Keyless Entry *Note - For third party subscriptions or services, please contact the dealer for more information. * The Mercedes-Benz CLA CLA 250 will provide you with everything you have always wanted in a car -- Quality, Reliability, and Character. You've found the one you've been looking for. Your dream car.You could keep looking, but why? You've found the perfect vehicle right here. This outstanding example of a 2019 Mercedes-Benz CLA CLA 250 is offered by Mercedes-Benz of Ontario. This Mercedes-Benz includes: SMARTPHONE INTEGRATIONSmart Device Integration BLIND SPOT ASSISTBlind Spot Monitor WHEEL LOCKS (PIO)Wheel Locks WHEELS: 18 5-SPOKE MULTI-SPOKETires - Front Performance Aluminum Wheels Tires - Rear Performance KEYLESS GOKeyless Start Power Door Locks Keyless Entry *Note - For third party subscriptions or services, please contact the dealer for more information. * There is no reason why you shouldn't buy this Mercedes-Benz CLA CLA 250. It is incomparable for the price and quality. The 2019 Mercedes-Benz exterior is finished in a breathtaking Night Black, while being complemented by such a gorgeous BLACK MB-TEX interior. This color combination is stunning and absolutely beautiful!The look is unmistakably Mercedes-Benz, the smooth contours and cutting-edge technology of this Mercedes-Benz CLA CLA 250 will definitely turn heads. This 2019 Mercedes-Benz CLA CLA 250 is proudly offered by Mercedes-Benz of Ontario This Mercedes-Benz includes: SMARTPHONE INTEGRATIONSmart Device Integration BLIND SPOT ASSISTBlind Spot Monitor WHEEL LOCKS (PIO)Wheel Locks WHEELS: 18 5-SPOKE MULTI-SPOKETires - Front Performance Aluminum Wheels Tires - Rear Performance KEYLESS GOKeyless Start Power Door Locks Keyless Entry *Note - For third party subscriptions or services, please contact the dealer for more information. * You could keep looking, but why? You've found the perfect vehicle right here. This vehicle won't last long, take it home today.You can finally stop searching... You've found the one you've been looking for. Contact Mercedes-Benz of Ontario today for information on dozens of vehicles like this 2019 Mercedes-Benz CLA CLA 250. This Mercedes-Benz includes: SMARTPHONE INTEGRATIONSmart Device Integration BLIND SPOT ASSISTBlind Spot Monitor SAIL PATTERN TRIMBLACK HEADLINERWHEELS: 18 5-SPOKE ALLOYTires - Front Performance Aluminum Wheels Tires - Rear Performance KEYLESS GOKeyless Start Power Door Locks Keyless Entry *Note - For third party subscriptions or services, please contact the dealer for more information. * The look is unmistakably Mercedes-Benz, the smooth contours and cutting-edge technology of this Mercedes-Benz CLA CLA 250 will definitely turn heads. Beautiful color combination with Night Black exterior over BLACK MB-TEX interior making this the one to own!The Mercedes-Benz CLA CLA 250 will provide you with everything you have always wanted in a car -- Quality, Reliability, and Character. Contact Mercedes-Benz of Ontario today for information on dozens of vehicles like this 2019 Mercedes-Benz CLA CLA 250. This Mercedes-Benz includes: SMARTPHONE INTEGRATIONSmart Device Integration BLIND SPOT ASSISTBlind Spot Monitor WHEELS: 17 5-SPOKEAluminum Wheels WHEEL LOCKS (PIO)Wheel Locks BLACK HEADLINERKEYLESS GOKeyless Start Power Door Locks Keyless Entry *Note - For third party subscriptions or services, please contact the dealer for more information. * This is about the time when you're saying it is too good to be true, and let us be the one's to tell you, it is absolutely true. There is no reason why you shouldn't buy this Mercedes-Benz CLA CLA 250. It is incomparable for the price and quality.The Mercedes-Benz CLA CLA 250 will provide you with everything you have always wanted in a car -- Quality, Reliability, and Character. Contact Mercedes-Benz of Ontario today for information on dozens of vehicles like this 2019 Mercedes-Benz CLA CLA 250. This Mercedes-Benz includes: SMARTPHONE INTEGRATIONSmart Device Integration BLIND SPOT ASSISTBlind Spot Monitor WHEELS: 17 5-SPOKEAluminum Wheels WHEEL LOCKS (PIO)Wheel Locks SAIL PATTERN TRIMBLACK HEADLINERKEYLESS GOKeyless Start Power Door Locks Keyless Entry *Note - For third party subscriptions or services, please contact the dealer for more information. * This vehicle won't last long, take it home today. There is no reason why you shouldn't buy this Mercedes-Benz CLA CLA 250. It is incomparable for the price and quality.You can finally stop searching... You've found the one you've been looking for. This 2019 Mercedes-Benz CLA CLA 250 is proudly offered by Mercedes-Benz of Ontario This Mercedes-Benz includes: SMARTPHONE INTEGRATIONSmart Device Integration REAR SPOILER (PIO)Rear Spoiler SAIL PATTERN TRIMBLACK HEADLINERWHEELS: 18 5-SPOKE MULTI-SPOKETires - Front Performance Aluminum Wheels Tires - Rear Performance KEYLESS GOKeyless Start Power Door Locks Keyless Entry *Note - For third party subscriptions or services, please contact the dealer for more information. * This is the one. Just what you've been looking for. The Mercedes-Benz CLA CLA 250 will provide you with everything you have always wanted in a car -- Quality, Reliability, and Character.This is about the time when you're saying it is too good to be true, and let us be the one's to tell you, it is absolutely true. Contact Mercedes-Benz of Ontario today for information on dozens of vehicles like this 2019 Mercedes-Benz CLA CLA 250. This Mercedes-Benz includes: SMARTPHONE INTEGRATIONSmart Device Integration BLIND SPOT ASSISTBlind Spot Monitor REAR SPOILER (PIO)Rear Spoiler SAIL PATTERN TRIMBLACK HEADLINERKEYLESS GOKeyless Start Power Door Locks Keyless Entry *Note - For third party subscriptions or services, please contact the dealer for more information. * Just what you've been looking for. With quality in mind, this vehicle is the perfect addition to take home. You've found the one you've been looking for. Your dream car.The look is unmistakably Mercedes-Benz, the smooth contours and cutting-edge technology of this Mercedes-Benz CLA CLA 250 will definitely turn heads. This 2019 Mercedes-Benz CLA CLA 250 is proudly offered by Mercedes-Benz of Ontario This Mercedes-Benz includes: SMARTPHONE INTEGRATIONSmart Device Integration PANORAMA SUNROOFPanoramic Roof Generic Sun/Moonroof Sun/Moonroof Dual Moonroof BLACK HEADLINERBURL WALNUT WOOD TRIMWoodgrain Interior Trim WHEELS: 18 5-SPOKE MULTI-SPOKETires - Front Performance Aluminum Wheels Tires - Rear Performance *Note - For third party subscriptions or services, please contact the dealer for more information. * The Mercedes-Benz CLA CLA 250 will provide you with everything you have always wanted in a car -- Quality, Reliability, and Character. The look is unmistakably Mercedes-Benz, the smooth contours and cutting-edge technology of this Mercedes-Benz CLA CLA 250 will definitely turn heads.You could keep looking, but why? You've found the perfect vehicle right here. This outstanding example of a 2019 Mercedes-Benz CLA CLA 250 is offered by Mercedes-Benz of Ontario. This Mercedes-Benz includes: SMARTPHONE INTEGRATIONSmart Device Integration BLIND SPOT ASSISTBlind Spot Monitor AMG® LINE EXTERIORTires - Front Performance Aluminum Wheels Tires - Rear Performance NIGHT PACKAGETires - Front Performance Aluminum Wheels Tires - Rear Performance BLACK HEADLINERALUMINUM TRIMKEYLESS GOKeyless Start Power Door Locks Keyless Entry *Note - For third party subscriptions or services, please contact the dealer for more information. * The Mercedes-Benz CLA CLA 250 will provide you with everything you have always wanted in a car -- Quality, Reliability, and Character. Just what you've been looking for. With quality in mind, this vehicle is the perfect addition to take home.There is no reason why you shouldn't buy this Mercedes-Benz CLA CLA 250. It is incomparable for the price and quality. This 2019 Mercedes-Benz CLA CLA 250 is proudly offered by Mercedes-Benz of Ontario This Mercedes-Benz includes: SMARTPHONE INTEGRATIONSmart Device Integration BLIND SPOT ASSISTBlind Spot Monitor WHEELS: 18 AMG® 5-SPOKE W/BLACK INLAYSTires - Front Performance Aluminum Wheels Tires - Rear Performance AMG® LINE EXTERIORTires - Front Performance Aluminum Wheels Tires - Rear Performance NIGHT PACKAGETires - Front Performance Aluminum Wheels Tires - Rear Performance *Note - For third party subscriptions or services, please contact the dealer for more information. * The 2019 Mercedes-Benz exterior is finished in a breathtaking Polar White, while being complemented by such a gorgeous BLACK MB-TEX interior. This color combination is stunning and absolutely beautiful! There is no reason why you shouldn't buy this Mercedes-Benz CLA CLA 250. It is incomparable for the price and quality.You can finally stop searching... You've found the one you've been looking for. Contact Mercedes-Benz of Ontario today for information on dozens of vehicles like this 2019 Mercedes-Benz CLA CLA 250. This Mercedes-Benz includes: SMARTPHONE INTEGRATIONSmart Device Integration BLIND SPOT ASSISTBlind Spot Monitor REAR SPOILER (PIO)Rear Spoiler WHEELS: 18 AMG® 5-SPOKE W/BLACK INLAYSTires - Front Performance Aluminum Wheels Tires - Rear Performance AMG® LINE EXTERIORTires - Front Performance Aluminum Wheels Tires - Rear Performance NIGHT PACKAGETires - Front Performance Aluminum Wheels Tires - Rear Performance *Note - For third party subscriptions or services, please contact the dealer for more information. * Just what you've been looking for. With quality in mind, this vehicle is the perfect addition to take home. There is no reason why you shouldn't buy this Mercedes-Benz CLA CLA 250. It is incomparable for the price and quality.The Mercedes-Benz CLA CLA 250 will provide you with everything you have always wanted in a car -- Quality, Reliability, and Character. This outstanding example of a 2019 Mercedes-Benz CLA CLA 250 is offered by Mercedes-Benz of Ontario. This Mercedes-Benz includes: SMARTPHONE INTEGRATIONSmart Device Integration BLIND SPOT ASSISTBlind Spot Monitor AMG® LINE EXTERIORTires - Front Performance Aluminum Wheels Tires - Rear Performance 12-COLOR INTERIOR AMBIENT LIGHTINGNIGHT PACKAGETires - Front Performance Aluminum Wheels Tires - Rear Performance BLACK HEADLINERALUMINUM TRIMKEYLESS GOKeyless Start Power Door Locks Keyless Entry *Note - For third party subscriptions or services, please contact the dealer for more information. * Beautiful color combination with Polar White exterior over BLACK MB-TEX interior making this the one to own! You've found the one you've been looking for. Your dream car.This vehicle won't last long, take it home today. This outstanding example of a 2019 Mercedes-Benz CLA CLA 250 is offered by Mercedes-Benz of Ontario. This Mercedes-Benz includes: SMARTPHONE INTEGRATIONSmart Device Integration BLIND SPOT ASSISTBlind Spot Monitor REAR SPOILER (PIO)Rear Spoiler WHEELS: 18 AMG® 5-SPOKE W/BLACK INLAYSTires - Front Performance Aluminum Wheels Tires - Rear Performance AMG® LINE EXTERIORTires - Front Performance Aluminum Wheels Tires - Rear Performance NIGHT PACKAGETires - Front Performance Aluminum Wheels Tires - Rear Performance BLACK HEADLINERALUMINUM TRIM*Note - For third party subscriptions or services, please contact the dealer for more information. * There is no reason why you shouldn't buy this Mercedes-Benz CLA CLA 250. It is incomparable for the price and quality. The Mercedes-Benz CLA CLA 250 will provide you with everything you have always wanted in a car -- Quality, Reliability, and Character.You could keep looking, but why? You've found the perfect vehicle right here. Contact Mercedes-Benz of Ontario today for information on dozens of vehicles like this 2019 Mercedes-Benz CLA CLA 250. This Mercedes-Benz includes: SMARTPHONE INTEGRATIONSmart Device Integration BLIND SPOT ASSISTBlind Spot Monitor REAR SPOILER (PIO)Rear Spoiler AMG® LINE EXTERIORTires - Front Performance Aluminum Wheels Tires - Rear Performance NIGHT PACKAGETires - Front Performance Aluminum Wheels Tires - Rear Performance BLACK HEADLINERALUMINUM TRIMKEYLESS GOKeyless Start Power Door Locks Keyless Entry *Note - For third party subscriptions or services, please contact the dealer for more information. * There is no reason why you shouldn't buy this Mercedes-Benz CLA CLA 250. It is incomparable for the price and quality. You can finally stop searching... You've found the one you've been looking for.Just what you've been looking for. With quality in mind, this vehicle is the perfect addition to take home. Ready to take the new Mercedes-Benz CLA Coupe for a test drive? Schedule an appointment near Eastvale and Rancho Cucamonga! Why Buy a New Mercedes-Benz CLA Coupe from Us? Mercedes-Benz of Ontario is your premier source near Chino and San Bernardino for new CLA Coupes, as well as other new Mercedes-Benz vehicles. 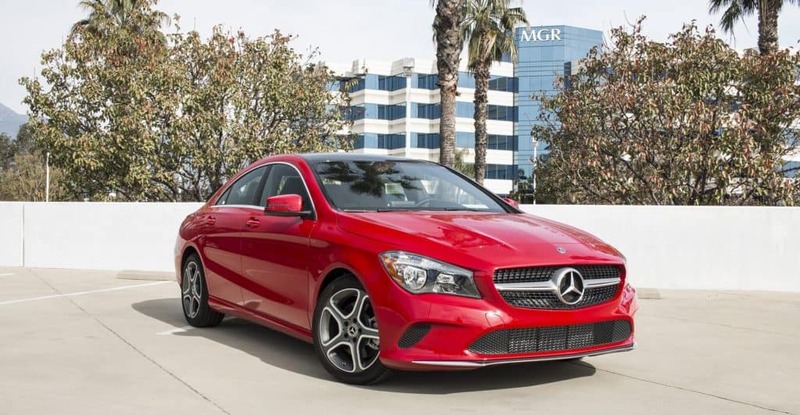 In addition to a wide selection, we always offer new lease and finance specials, so our customers can get the CLA Coupe they want at a great rate. Is your heart set on the CLA Coupe? Get pre-approved online!